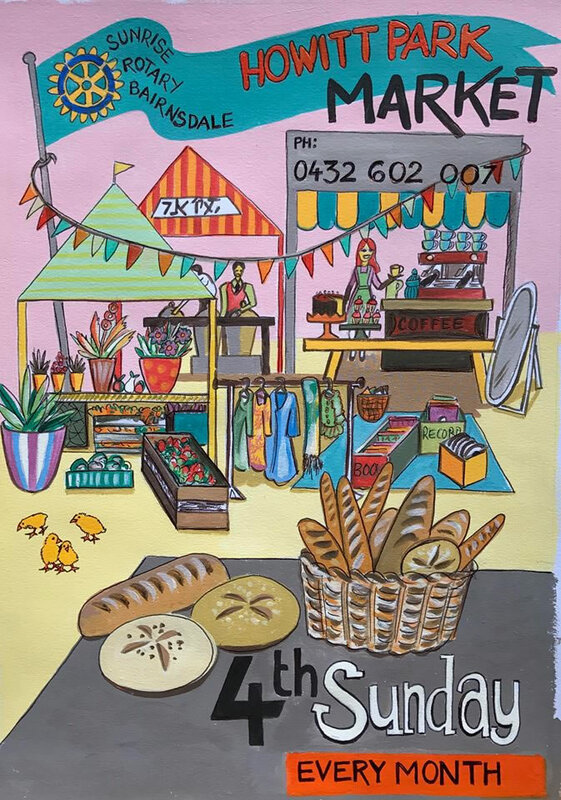 The market is renowned for its friendly atmosphere with up to 155 stalls each month with something for everyone with produce, food, plants, flowers, craft and an every-growing list of wonderful things for sale. The Sunrise Rotaty club of Bairnsdale manages the Howitt Park Market in Bairnsdale. For stall holders and new people with new and interesting products call on 0432 602 007. 4th Sunday of every month | Please check phone number below first, because the area does sometimes flood (it is a floodplain after all). The market known as Lucknow Primary School Sunday Market no longer operates.